Community Services Fund of Nebraska : Member Agencies : Leadership Lincoln, Inc. Leadership Lincoln develops strong leaders for a stronger Lincoln. 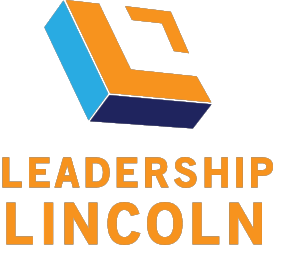 $275 provides a full scholarship for a Youth Leadership Lincoln participant. $500 pays for a seminar for one of our four programs. $1,200 provides a half scholarship for a non-profit or in-need participant to take part in our Fellows program. Part of our alumni engagement is an outreach program for any group or agency in the community that wants to develop a greater understanding of the issues related to poverty. Leadership Lincoln alumni volunteer to facilitate a poverty simulation to interested groups and then engage in a conversation with the participants following their experience helping them see the challenges facing those in the community experiencing poverty. Often times the participants share, "I had no idea it was this much of a struggle" and "How do you find time for your kids?". It has been and extremely impactful exercise and one that is in high demand moving forward. Schools, churches, and businesses have reached out to schedule time for their respective staffs to experience this activity.